Broan Ultra Pro Series Fans deliver everything you wished for in a bath fan - premium ventilation to help reduce airborne pollutants, extremely quiet operation, energy efficiency, consistent power and most impressively, the fastest, easiest, most universal installation available. 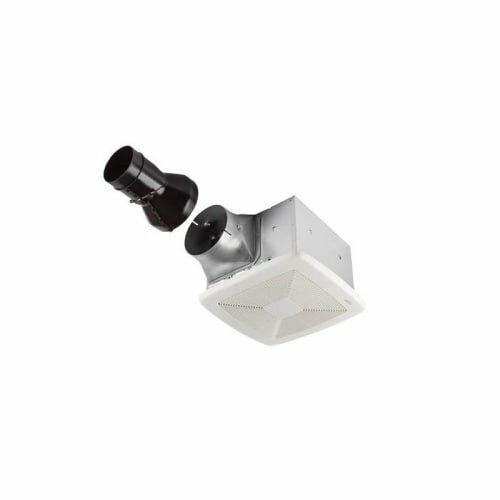 These fans are ideal for both spot ventilation in humid bathrooms, as well as continuous ventilation to meet various building codes and Green Building standards around the United States. Unique telescoping mounting frame can be placed and fastened through drywall hole because it expands from 14-Inch to 24-Inch and fits any type of joist, I-Joist or truss construction for a "no guesswork" installation to make the work fast and easy. Snap-in housing and blower further simplify installation since you can hear - and feel - when they are properly seated. Easy-to-position carriage allows housing location adjustment between joists so you can control the correct ceiling placement. UL Listed for use over tubs and showers with a GFCI circuit; so you can capture the steam before it spreads throughout the room by locating your fan exactly where you need it the most. Compatible with Radiation Damper RDF1 which helps prevent flame and heat from spreading to other areas in multi-level buildings.